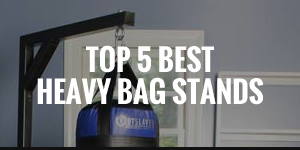 It’s easy to blast the heavy bag with blistering boxing combinations, but what good is it if none of the punches can find the target in a real fight? Because when you miss, best believe that a good counterpuncher will make you pay for it. You should never just aimlessly throw punches without a purpose unless of course, your goal is to become a mindless brawler. 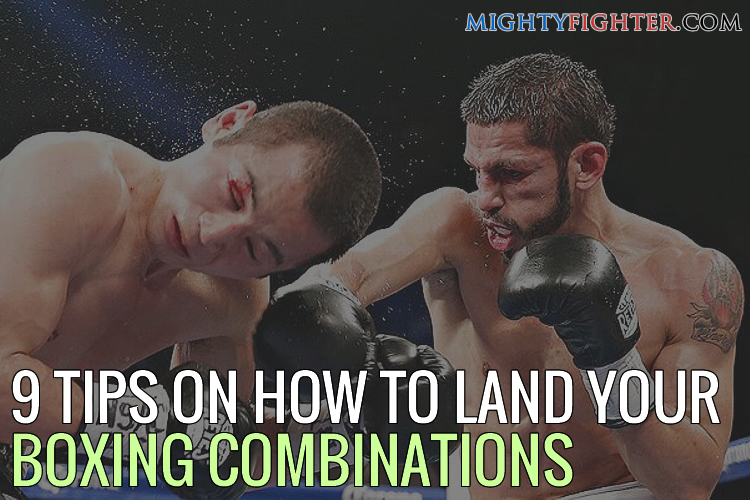 This article will provide you with some essential tips on how to effectively land your boxing combinations. 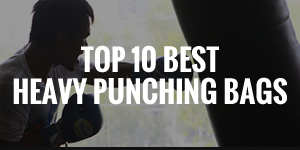 Unless you’re fighting against a human punching bag that has absolutely no head movement, you cannot realistically expect to land every single one of your punches. If you’re throwing a simple two-punch boxing combination, then expect to land the second; and if you’re throwing a 4-punch combination, expect to land two. 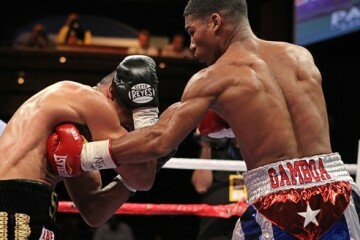 It’s really a numbers game when you’re facing a slick and highly defensive boxer who has the faster hands and feet. Yes, it’s going to be difficult to find the target, but how can you even find the target at all if you only throw single or double punches? Also, the expectation of landing every punch you throw will only end up in disappointment and fustration. If you go into a fight knowing you’re going to miss, perhaps by a lot, then you can adjust your strategy according to what will be more likely to work against a certain type of opponent. It’s a lot more difficult to hit a moving target, but certain types of fighters will cover up with a high guard to catch a breather particularly if you’re piling on the pressure. It may even just be part or all of their style (e.g. 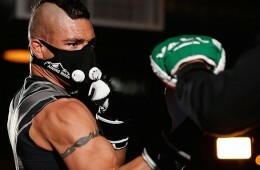 Arthur Abraham, Joshua Clottey, Winky Wright, you get my point). This is the perfect opportunity to throw a combination that’ll do two things – prevent them from throwing and racking up “points”. 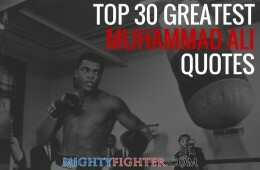 Although you must be cautious against fighters who like to catch and counter like Curtis Stevens. Penetrating the high guard can be tough, but the use of uppercuts to rip upwards through the middle and body shots behind their elbows will prove to be effective. 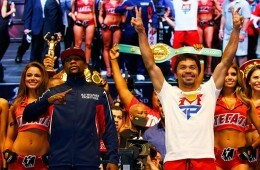 The majority of boxers are advised to hold the centre of the ring, unless it’s Floyd Mayweather Jr. or James Toney who thrives when their back is against the ropes. In many cases, a pure boxer will do worse when they’re backed onto the ropes or into the corner. 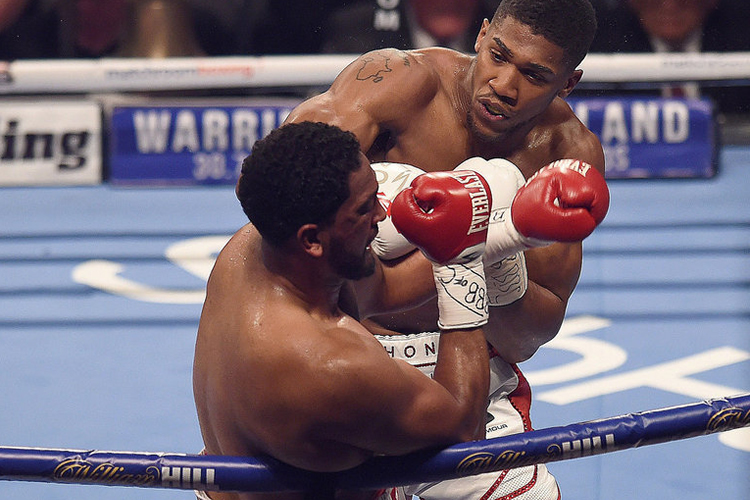 Anthony Joshua pummels Dominic Breazeale against the ropes. 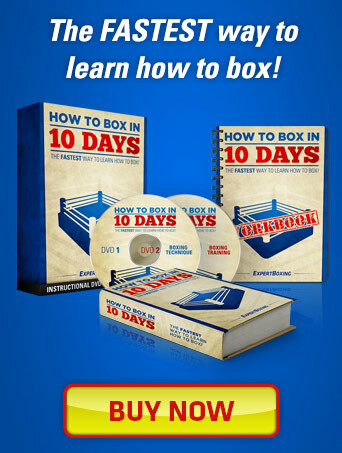 There are less points of exit which means more chances for you to let loose with your punches. If you see them trying to make a swift exit, throw a mean hook to the body in the direction they’re moving to immediately followed by a straight punch to the head. Throwing awkward boxing combinations is like a double edged sword; on one side, it’s unconventional which makes it hard for opponents to predict, but on the bigger and sharper side, it’s slower and leaves you vulnerable to counterpunches. Take for example, a simple jab, straight and lead hook combination compared to a double lead hook followed by an overhand; which combination do you think is easier to throw and land effectively? I’ll give you a clue – it’s not the second one. The point is to keep your combinations simple so that each punch flows naturally following the preceding one. 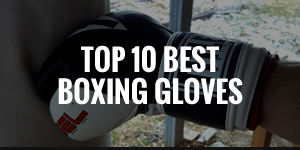 In tip number 1, I mentioned that landing punches against a defensively skilled boxer is a numbers game. 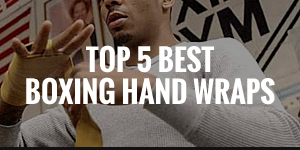 By this, I didn’t mean to continuously throw 5, 6, 7+ punch combinations (although that’ll work against anyone providing you have the stamina to maintain the workrate and the chin to withstand any hard counters). 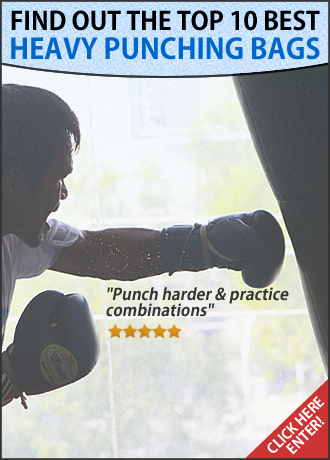 What’s most effective is to put all your concentration and effort into 2, 3 or 4 punch combinations, focusing on quality rather than quantity. Every punch should have a meaning behind it. For example, the first punch should be a set up, the second to split the guard and the third to land flush and hopefully produce a knockout. 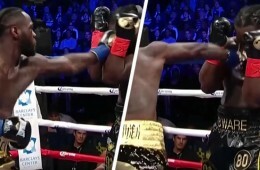 What do you do when faced with a boxer with a small head and quick feet? Kudos if you answered “bang him to the body until that annoying sucker slows down!!!”. 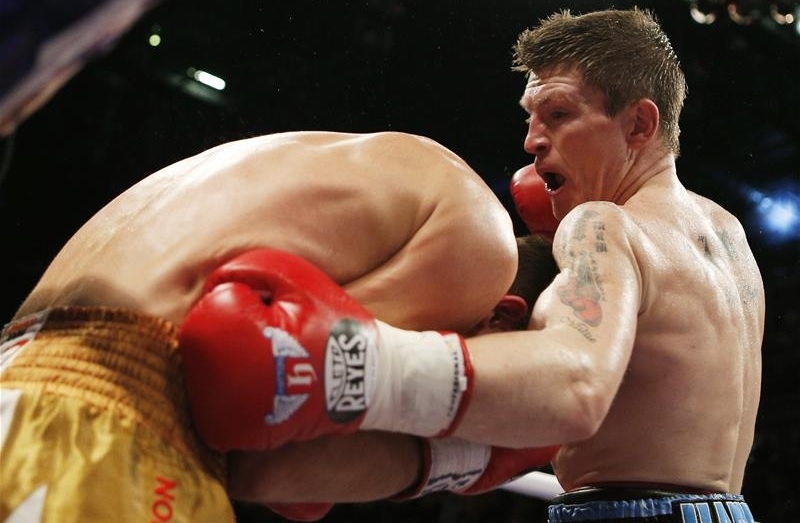 Ricky Hatton lands a left hook to the body of Vyacheslav Senchenko. 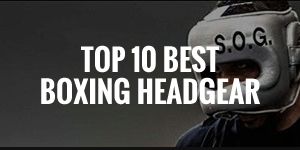 Headhunting will only get you so far and one of the signs of a good boxer is the incorporation of body shots in their punch selection. Not only are they easier to land as the torso is a bigger target than the head, but it also brings about an element of unpredictability, not to mention they hurt like hell if landed in the sweet spots. 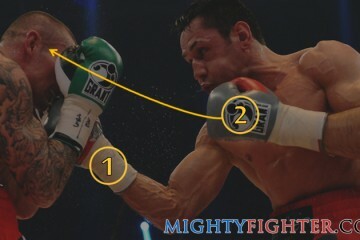 The best body shots to land in the midst of a boxing combination is the rear uppercut or the lead hook to the body from mid-range. As a matter of fact, that sequence makes a good combination too. 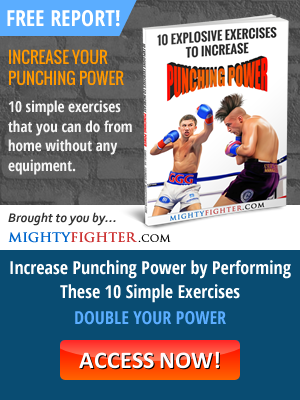 Every time you throw a power punch, you’re practically leaving yourself even more exposed. 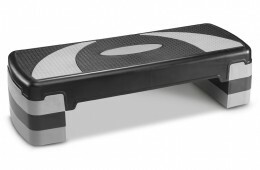 You’re trading a bit of balance and defense for the chance to land a hurtful blow. 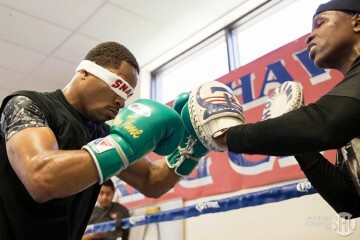 Ultimately, you’ll end up being slower to bring your hand back to defend yourself and to follow up with another punch. Power in a combination should be an ascension, at least if you want to throw a combination with effective speed and power. So basically, the first punch will be the lightest and the last punch should be the hardest. 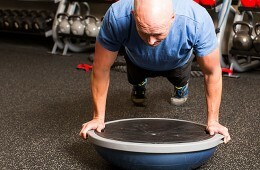 This method allows a natural progression of speed, power and timing that would otherwise be difficult if you were to throw every punch at full power. Distance management plays a vital role in whether a punch lands or not and how hard it lands if it does. 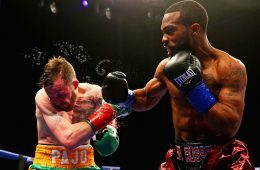 Essentially, you have to close the gap to get into punching range, and then compute in your brain which punches are most effective at that distance. It sounds easy and against some opponents it is, but against a mover with a longer reach and faster hand speed than yourself, it can be a nightmare to deal with. This is even more reason to follow tip number 7 of controlling your power. You can throw fast and light feint punches to close the distance and then follow up with a suitable combination once you’re within range. 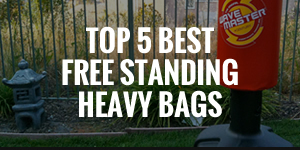 This tip isn’t the rule of thumb, but it’s more like a guideline, and a great one too. To begin a combination with a jab can help you land subsequent punches by acting as a measuring stick, a laser guide or a deception; all useful tools against any type of opponent especially defensive minded boxers. Needless to say, doing the same thing over and over again leads to predictability, and predictable behaviour during a boxing match is the appetite of every great counterpuncher. Therefore, it’s wise to occasionally mix up the start of combinations with lead punches. Bear in mind that at close range, it’s dangerous to throw a jab as you cannot get full length on it, it does little damage and it’s easy to counter at such a short distance. 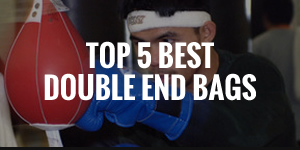 In this case, it may be better to start a combination with a lead hook or rear uppercut instead.